This video will show you how building templates and library text in PandaDoc can save you time when building proposals. Use PandaDoc to create replicable style and format in quotes, proposals and contracts. Building company approved text that can be selected as required to complete a quote in PandaDoc. 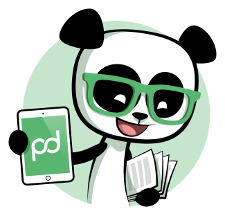 This video will show you how to use PandaDoc to build quotes in your documents. Quotes that will automatically add up, calculate taxes, etc. Build one price list for all employees to use. If you have an existing price list this can be imported into PandaDoc.